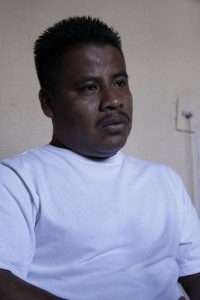 On 7 July, Rafael Rodríguez Dircio, member of the Organization of the Me’phaa Indigenous People (OPIM), was released, having been detained and incarcerated on 29 June on the charge of homicide of Alejandro Feliciano García. On these same charges had been detained five other members of OPIM on 17 April 2000. One of these persons was Raúl Hernández Abundio, a prisoner of conscience as recognized by Amnesty International who spent more than two years in jail on this charge, with the four others having been released previously. Inocencio Orduño Magallón, judge in the case, resolved in favor of Rafael Rodríguez’s release in light of lack of evidence. In other news, on 20 July, units of the Armed Navy of Mexico invaded the community of La Morena, municipality of Petatlán. They detained for two hours state police who had been monitoring the community as well as residents of the community, denounces Elvia Torres Cruz, sister to Javier Torres, a campesino who was murdered in April. The justification for the operation was that the unit had on the previous Sunday (17 July) left one of its vehicles in the community. On that day there was had a confrontation in the community between units of the Armed Navy and of the state police. One marine and one police-officer died. On 18 April of this year Javier Torres was murdered by a uniformed group carrying high-caliber weapons, presumably operatives linked to organized crime. His family has received protectionary measures and since that time the community of La Morena has been protected by the state police. In an interview, Javier Monroy, coordinator of the Workshop for communal development (TADECO), said that leaders of organizations that comprise the Front of the Popular Masses of the State of Guerrero met with the Minister of Justice, Alberto López Rosas, and demanded that the clarify the acts and prioritize the investigation of the murder of Javier Torres. In this vein, he indicated that TADECO has requested support for construction materials and other goods for La Morena, given the events of 17 July. In other news, on 3 July, Isabel Ayala Nava, widow of the guerrilla ex-commander Lucio Cabañas Barrientos, 54 years of age, was murdered by gunfire along with her sister Reyna Ayala Nava (58 years old) by unknown subjects from a car in movement as they were leaving a church in Xaltianguis, municipality of Acapulco. Some hours later, Micaela Cabañas Ayala, daughter of Isabel and member of Nacidos en la Tempestad AC, received a death-threat against her person from the cellular number of her mother. Relatives, leaders of social organizations, and civil organizations have condemned these murders and have demanded that the Guerrero state-government clarify them immediately. Isabel Ayala Nava pertained to the Partido de los Pobres (PdlP, or Party of the Poor), an insurgent Mexican organization born at the beginning of the 1970s, and had been subjected to torture and other cruel treatment. In the last three years she had participated in activities organized by the groups United Left of the South and the Popular Assembly of the Peoples of Guerrero. In the first months of 2011 two brothers of Isabel and Reyna were murdered. Upon demanding that the crimes be clarified, the family began to receive anonymous death-threats. On Friday 6 August there was held an audience on the case of Raúl Hernández Abundio who, according to his counsel, has been unjustly accused of the murder of an army-informant in January 2008. Such claims notwithstanding, the State Attorney General’s Office (PGJE) of Guerrero has requested Hernández Abundio be given the maximum sentence of 50 years. It should be remembered that the Tlachinollan Mountain Center for Human Rights, which is heading the defense of Hernández Abundio, member of the Organization of the Me’phaa Indigenous Peoples (OPIM), has already invalidated previous evidence. Furthermore, the judge who visited the crime-scene has confirmed that the declaration of the principal witness in the case is incorrect and hence affirmed that Hernández Abundio could not have committed the murder. The PGJE also has not taken into account the declarations of ocular witnesses who established that Raúl Hernández was not in the vicinity where the crime occurred when it did. Following this audience, the judge will have 10 days to release the corresponding sentence. 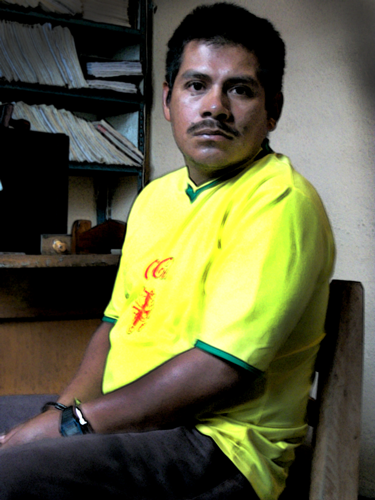 Vidulfo Rosales Sierra, a lawyer with Tlachinollan, stressed that “this is a clear indication that the state government–the government of Zeferino Torreblanca–continues with its sober and deliberate intention to persecute human-rights defenders and other social activists in Guerrero; it is clear evidence because of the lack of evidence, because the accusation is nonsense.” Similarly, Amnesty International (AI) condemned the conclusions of the PGJE in a 7 August press-release. The adjunct director of the AI Program for the Americas, Kerrie Howard, declared that “[t]he decision to continue [with the case] despite the fabricated charges of murder against Raúl Hernández is part of a systematic campaign of the Mexican authorities against members of this indigenous community who defend the human rights of their people.” Tlachinollan circulated a model letter directed at the Guerrero Judicial Power to request justice and liberty for Raúl Hernández. On February 22, five members of the Indigenous People’s Organization Me’phaa (OPIM) were granted an appeal for legal protection, putting a stop to arrest warrants against them. The five members had been accused of being responsible for the murder of an army informant. Raul Hernandez Abundio is still in prison – unjustly — for this same crime. Amnesty International adopted him as a prisoner of conscience in November 2008. On March 18, the judge Jesús Rafael Aragón granted an appeal to 4 of the 5 members of the Indigenous Me´phaa People´s Organization (OPIM), who have been incarcerated since April 17 of last year. 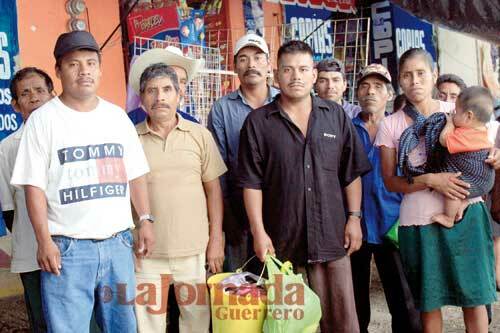 Manuel Cruz Victoriano, Orlando Manzanarez Lorenzo, Natalio Ortega Cruz, y Romualdo Santiago Enedina were freed, while Raúl Hernández Abundio remains in jail. 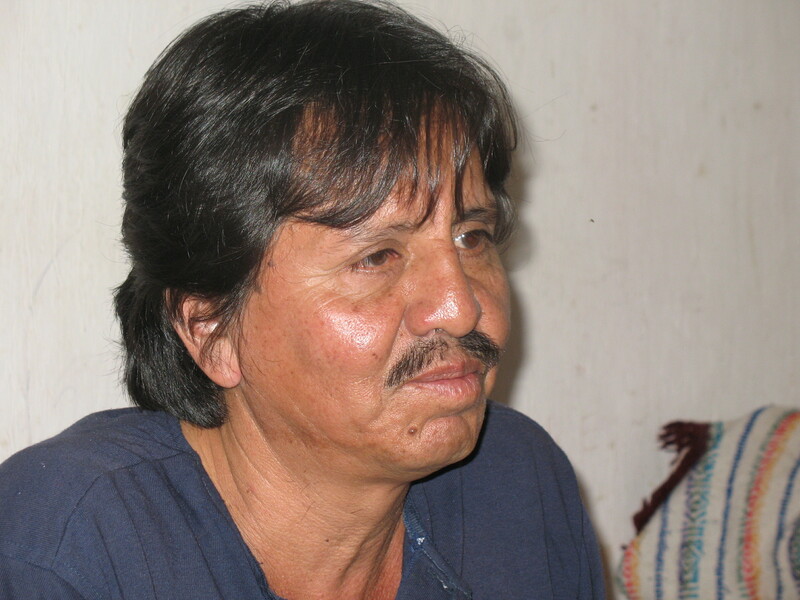 The five human rights defenders were accused of killing Alejandro Feliciano García, an army informant, on January 1, 2008. In October of last year, the Eigth District judge in Acapulco granted an appeal, but it was overturned by the Attorney General´s office, without any new evidence. According to the Human Rights Center of the Montaña Tlachinollan (CDHM Tlachinollan), “We are awaiting within the next few hours the confirmation of this appeal with the First Instance Judge of Ayutla, Alfredo Sánchez Sánchez, so that within 24 hours he will order the immediate release of the 4 indigenous persons from El Camalote who were adopted as perisoners of conscience by Amnesty International(AI).” The CDHM Tlachinollan has been defending the case of the 5 human rights defenders since they were first jailed. Retiran cargos a mixtecos; sólo uno seguirá en prisión, El Universal, 19/3. The verdict was announced on 15th October in favour of four prisoners. One will remain in prison. The prisoners who won the appeal should be freed by tomorrow, Tuesday 21st October. Tlapa, Guerrero, Mexico on October 20, 2008- The Eigth District judge based in Acapulco, Livia Lizabeth Larumbe Radilla, granted the appeal by four of the five members of the Indigenous Me’phaa People’s Organisation (Organización del Pueblo Indígena Me´phaa, OPIM). For six months they have been imprisoned in Ayutla jail, accused of the murder of an Army informer. Following this verdict that was announced on 15th October, the First Instance Mixed judge in Ayutla, Alfredo Sánchez Sánchez, was notified on Friday 17th and he has 24 hours to release the accused indigenous men.